Due to his own nature, a man is an earthly creature, but since immemorial times, the mankind’s imagination was aroused by surrounding elements, sky and water. It is unknown, when a man dive under the water for the first time, but it is said that that the dives were similar to the diving of pearl seekers, where the diving depth was up to 30 m, and it took around a couple of minutes. Later, divers were used for military purposes, and their participation in historical battles was already known since 1800-400 BC. Some documents state that according to the stories of Alexander the Great, he managed to get underwater by using a diving bell around 330 BC, but there are no accurate details or evidence. The Roman historian Pliny was the first to mention a dive, which took place around 77 AD, when a diver used a tube for air supply from the surface, which was similar to the current version of snorkelling. 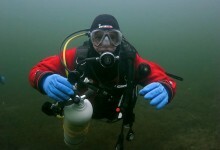 However, the history of commercial and other type of diving began only in 19th – 20th century, and thank to the famous Frenchman Jacques Cousteau, who presented an open type of breathing device called “AQUALUNG” in the thirties of the last century, diving became available to the public, and now it is one of the most popular hobbies in the world. We are a small company, which brought together those people, who are in love with the underwater world. love diving, we love the active lifestyle. Diving is not only a physical dive under the water surface. It is knowledge. It is history, which surround those waters, where we dive; it is culture of those nations and people, who live near that water; it is secrets and legends, people’s stories and their destinies. It is physics, physiology, chemistry, hydrodynamics, natural sciences, and many other things. It is passion and positive emotions, communication and self-awareness. Come and we will help you to make the first steps towards the knowledge of the underwater world. Our diving courses will provide necessary knowledge in order to dive safely. We will teach you to plan your dives, use the diving equipment, and control your body under water. Basic diving course – the core of knowledge and skills that are necessary to an individual, in order to get to know the underwater world, to learn how and what to do, and to learn that dives would be always safe. Specialization diving course– the extensive package, where everyone will be able to find their specialization, which should be improved or learned as a new skill. Technical diving course – this course is for those, who are ready to move beyond the boundaries of recreational diving, who are drawn even deeper, who has ambitions and seeks to improve. A lot of people would love to try, but they are not fully sure, whether they will like diving (although we have no doubt that they will). Exploratory dive– an opportunity to make your first step. Come and our team will help you to learn diving. 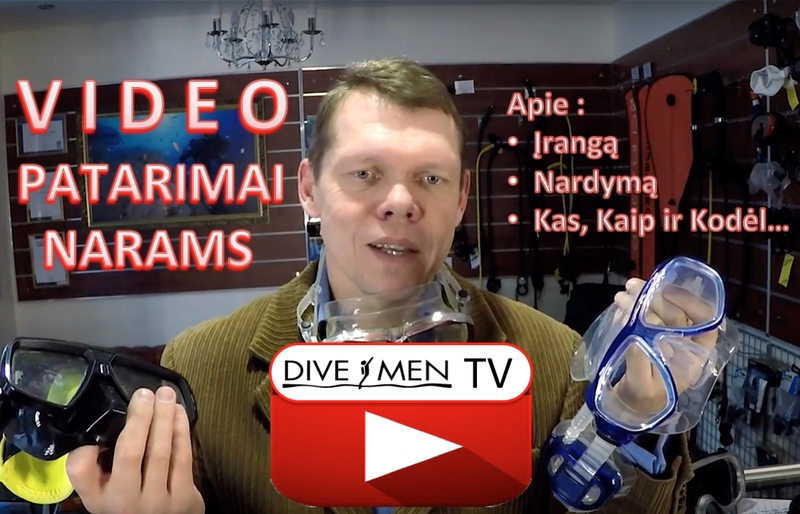 If you already have a diving certificate, but you have still have not had time to buy your own equipment? Come to our shop, where you will be able to find high-quality diving equipment of Scubapro, Subgear, and other manufacturers. Also, we can offer to rent the equipment for diving. Maybe we lack the knowledge of marketing, since we do not lure you with unreal discounts and promotional slogans, but we are professionals in diving. We do not offer the abstract services and goods, we offer good, positive emotions, vivid experience, positive adrenaline, and unforgettable impressions.